For a few years now customers have been calling and emailing Ben’s requesting that they offer veggie hot dogs. Though it took some time to find the one that lives up to the quality and reputation of Ben’s, a veggie dog is now on the menu! Get yours with mustard, onions and Ben’s famous veggie chili. 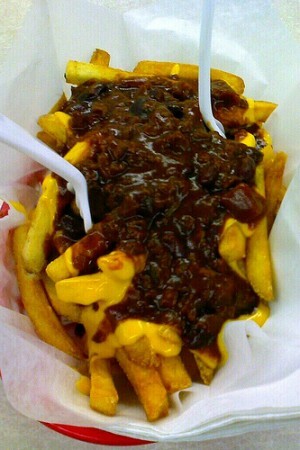 Don’t forget, for years Ben’s has offered Veggie Burgers, Veggie Chili, Veggie Chili Fries and Veggie Chili-Cheese Fries. I’m a vegetarian and I love Ben’s…mostly because I have happy memories of the instances when it’s almost empty and the staff and I sing along to “My Girl” or similar. Everyone who works there is so kind. And the chocolate milkshakes are yummy. More than 300 have submitted applications so far for what will be an IHOP across from Columbia Heights Metro. 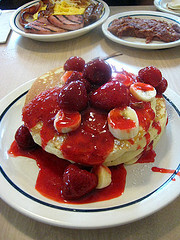 It is owned by the same family who opened D.C.’s first IHOP in Southeast two years ago: the Jacksons. They say federal stimulus money’s made this new opening possible. Clarence Jackson, co-owner of the franchise, is a D.C. cop. They want to hire in the neighborhood; people who can walk to work. Some applicants have no job. “I’m trying to get any job right now just to have some cash…” shared Godfrey Nnadim. Won’t someone think of the Food Trucks? If they so desired, locals would never have to eat another fake half-smoke again. If only supply-and-demand economics were so easy. The sudden appearance of gourmet food trucks that delighted so many lunch-hour consumers simultaneously horrified the established restaurant community—a deep-pocketed, politically wired bunch. Now, like in Brooklyn and Los Angeles and every other city where mobile vendors represent new competition, the District’s inline businesses are turning to the legislative process to ease their pain. Thus when it comes to the street-food options, you may not have the ultimate say. Lawyers, lobbyists, social-media activists, councilmembers, and business owners are all working the levers of power to determine what rolls your way for lunch. It’s powerful stuff. I know I’ll never look at Amsterdam Falafel the same way again– and I’ve been a loyal customer since they opened. I am sympathetic to the concerns of small business owners and thankful for what they give to our communities, but after reading Carman’s piece, some of them just sound…petty. Amsterdam Falafel goes beyond the Morg. 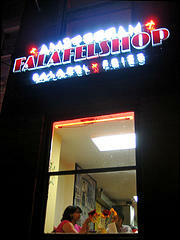 Soon you can grab a falafel from Amsterdam Falafelshop (2425 18th Street NW) without being in the District. The popular restaurant recently filed paperwork to become a franchise. Falafelshops may soon open in the Northeast, Mid-Atlantic and Southeast regions. While I currently find myself sating my falafel cravings with Roti, there’s no denying that Amsterdam’s fries and hours are fantastic. See, when Roti locks its pretty doors at 5pm, Amsterdam is still slinging chick pea fritters until midnight on quiet nights (Sunday and Monday) and 4am on noisy ones (Friday and Saturday). 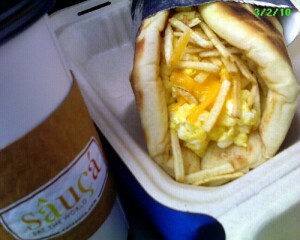 When they opened in 2004, many of us were elated to have a (vegetarian, no less!) alternative to Jumbo Slice. Yum. 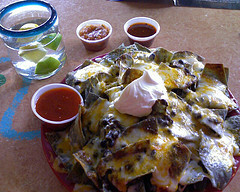 I know, this is southwestern food, not regional Mexican. But it was delicious. The tiny, 800-square-foot operation will be located at 3313 11th St., in a former liquor store, and will not only sell regional Mexican foods but also snacks inspired by the L.A. street food scene. Pete’s New Haven Style Apizza‘s second location at “Ten-Frien” (so designated because it’s in the middle of the Tenleytown and Friendship Heights Metro stops) was the site of a “Middle Class Task Force” round table this afternoon– and the Vice President was there, meeting employees, calling Nurses “angels” and ordering pizzas to go. See pictures of his visit, here. At beginning of roundtable discussion, Mehr told Biden that he and his co-owners have two stores and are getting ready to open a third (great news for lovers of good pizza). Mehr said he went to 20 banks before finding a local one in DC that would give him a loan. 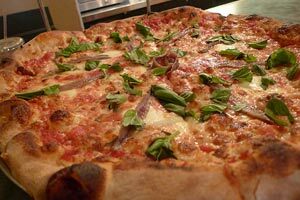 A third location IS good news for apizza-lovers. The having to go to 20 banks to secure credit? Not so good. As for the Vice-President’s order, he chose to take one plain and one pepperoni back to 1600 Pennsylvania Avenue.